IMT Modular has been at the forefront of the modular partition revolution since its inception in 2002 as a company that thrives on innovation. We respond quickly to the changing demands of the marketplace understanding that corporate and social responsibility in environmental issues is no longer an elective behaviour. Our premium modular partition systems embody flexibility, functionality and beauty while providing cost-effective, scalable office solutions for a new generation of forward thinking commercial enterprises. With modular partition systems, space can be quickly and easily repurposed. No need to lay waste to fixed walls and send tens of thousands of dollars’ worth of material to a landfill. No more paying contractors for weeks of work. 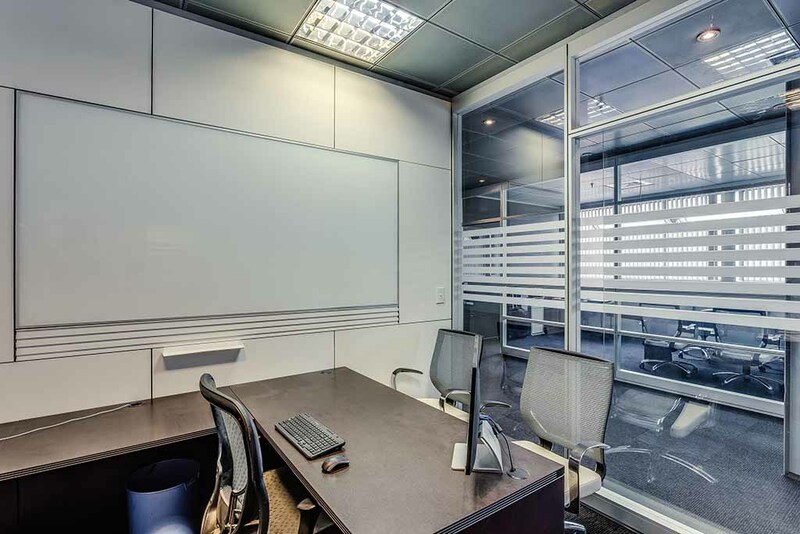 No need for multiple banks of fluorescent fixtures because your new glass panel modular walls allow natural light to penetrate into the inner offices. Neither the cloistered offices of the mid-20th century nor the cubicle farms of recent decades did anything to harness the power of collaborative thought. Modular partition systems from IMT Modular break down barriers and bring people together without resorting to having all levels of employees in an open plan layout. In the past, reorganizing your work flow meant making due with an obsolete office layout or enduring months of construction in order to bring the floorplan in line with the modernised business plan. Modular partition systems allow you to adapt on the fly making alterations, updating technology and layout modifications overnight. The IMT Modular partition system you install today has been designed with tomorrow’s commercial space in mind. Easy access panels enable fast and comprehensive accommodation of new data and power feeds along with built in receptivity for HVAC and other utilities. No matter how thoroughly or how often you reconfigure your moveable walls, they’ll be ready to host whatever innovations the future has in store. Not only are old construction paradigms financially wasteful, they’re also environmentally irresponsible. When the world had 2 billion population, one may have been able to gloss over those facts but in a world of 7 billion and counting, every action must be weighed against its environmental impact. IMT Modular has long been an industry leader when it comes to sustainable building resources. Our Phoenix program credits our clients for metal parts that can’t be re-deployed which can be applied to the new product purchased. Any product that is not reusable is recycled by our team and suppliers. At IMT Modular Partitions, our goal is to remove barriers that stand between your company and the realization of its full potential. At the same time, we acknowledge that resources are not limitless and that the world we create today will determine the quality of the world our children and grandchildren inhabit tomorrow. We pledge to work for and with you to provide a beautiful environment inside your office while protecting the natural world.